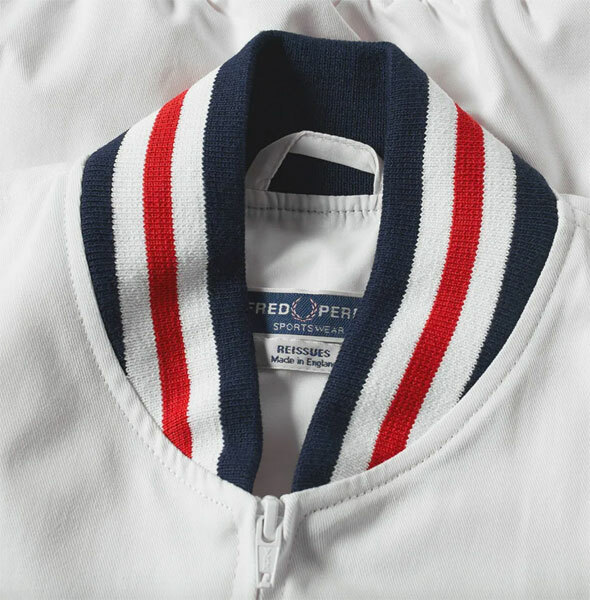 Good to see the Fred Perry Original Tennis Bomber Jacket returning to the shelves in white. 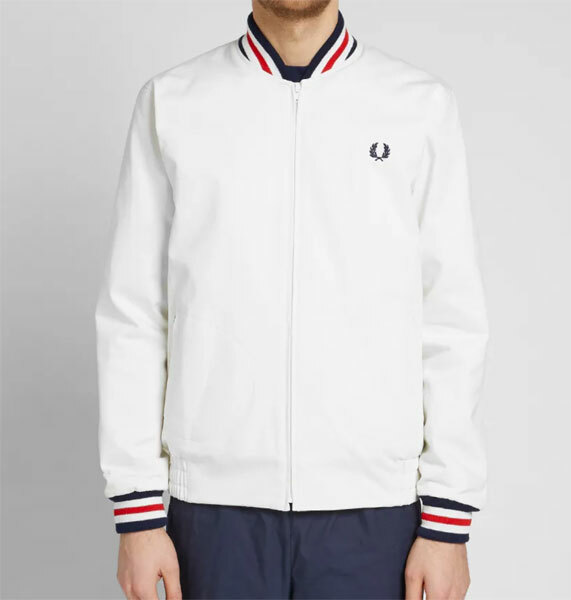 Last year there was a waxed version https://www.hisknibs.com/fred-perry-waxed-tennis-bomber-jacket/ along with one in black https://www.hisknibs.com/fred-perry-made-england-original-tennis-bomber-jacket-black/ and earlier in the year a blue version too. But the white version has been absent from the shelves a little while. 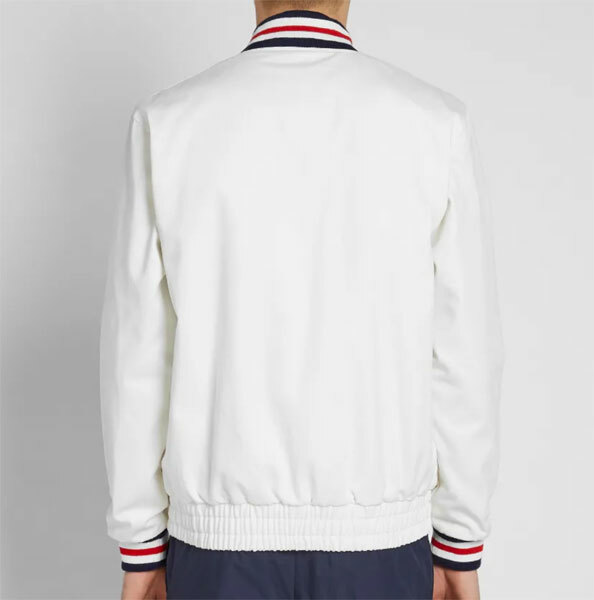 I know it’s not the most practical version of the jacket – one slip of the hand and there might be a nasty stain to deal with. 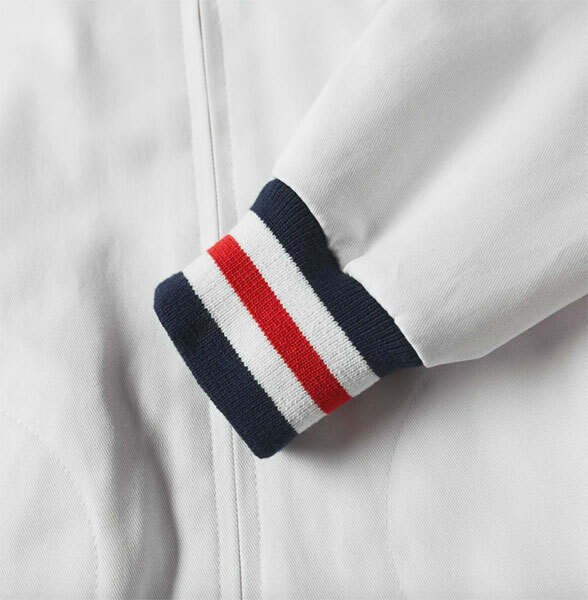 But the white is the original colour, from an era when tennis meant white or you didn’t get on the court. Of course, tennis is the last thing you need this for (unless you want a game whilst going seriously old school). 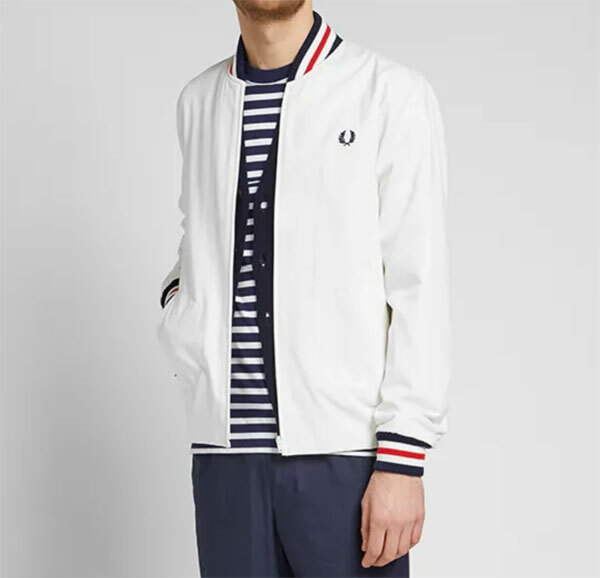 These days, the jacket is very much an off-court item, one that was a picked up by mods back in the 1960s and has been popular on that scene for many years since. But not exclusively so. It’s a classic that transcends boundaries. 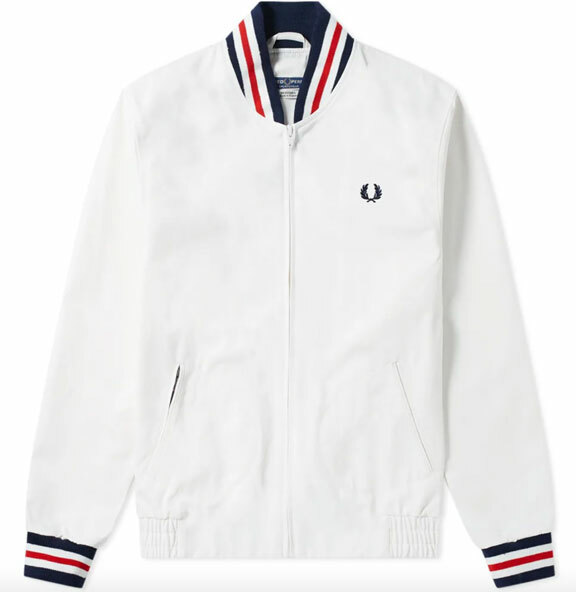 This particular classic is a Made in England jacket from the Reissues range of Fred Perry, complete with 100% cotton twill construction, zip front, an embroidered Laurel Wreath, two side entry zip pockets, a concealed zip pocket, ribbed collar and cuffs, an elasticated hem and the blue and red tipping. Quite an investment at £199, but this will do you proud over the spring and summer months.